I’m using it for 2 weeks. so far it’s quite quiet and give strong current for my 75 gal tank; Happy with it. Pump was just over 4 years old and had been great up until then. Started making a terrible high pitch noise so I took it apart to find that the impeller had splits in it and swelled along those splits, causing the noise. Tried to get a hold of Sicce through their website with no luck. REPLACEMENT IMPELLER COSTS $56!!! This pump is not very quiet and only held up for 4 months! Disassembled and cleaned...still DOA. 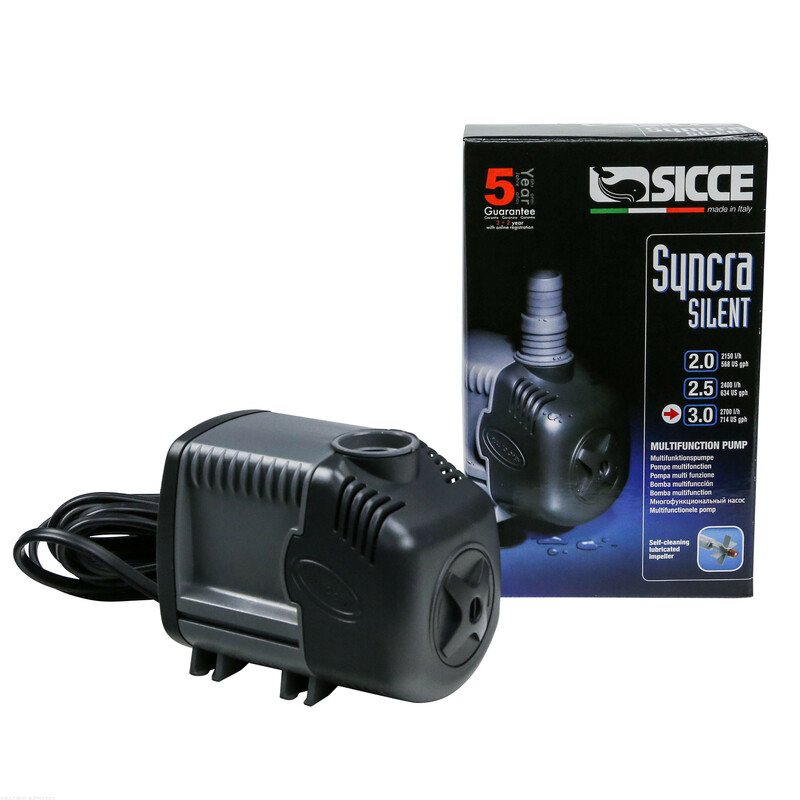 Trying to deal with Sicce on a replacement/warranty is worse than a root canal. 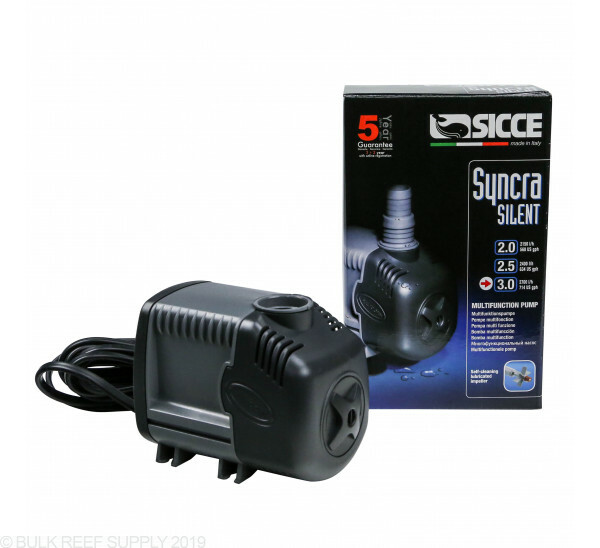 Works great on my 60 gal reef ready cube with Eheim rs100. Up and running 5 yrs. Without a glitch. Not ABSOLUTELY silent by pretty darn quite. This is a great pump at a great price! 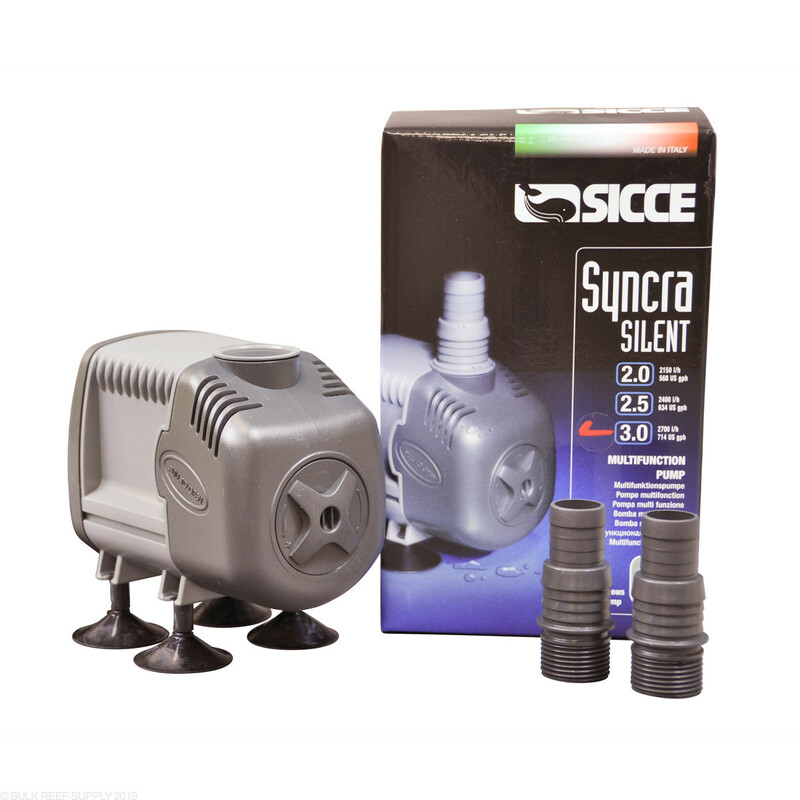 I have been using it in my sump for 2 weeks and its completely silent. 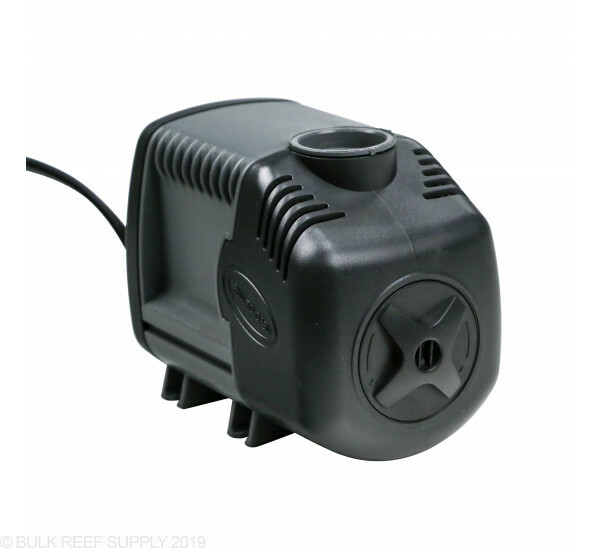 I bought this as a replacement return pump (left side)for my Red Sea Max 250. The pump that was in there was so noisy I couldnt imagine being a fish in that tank.. 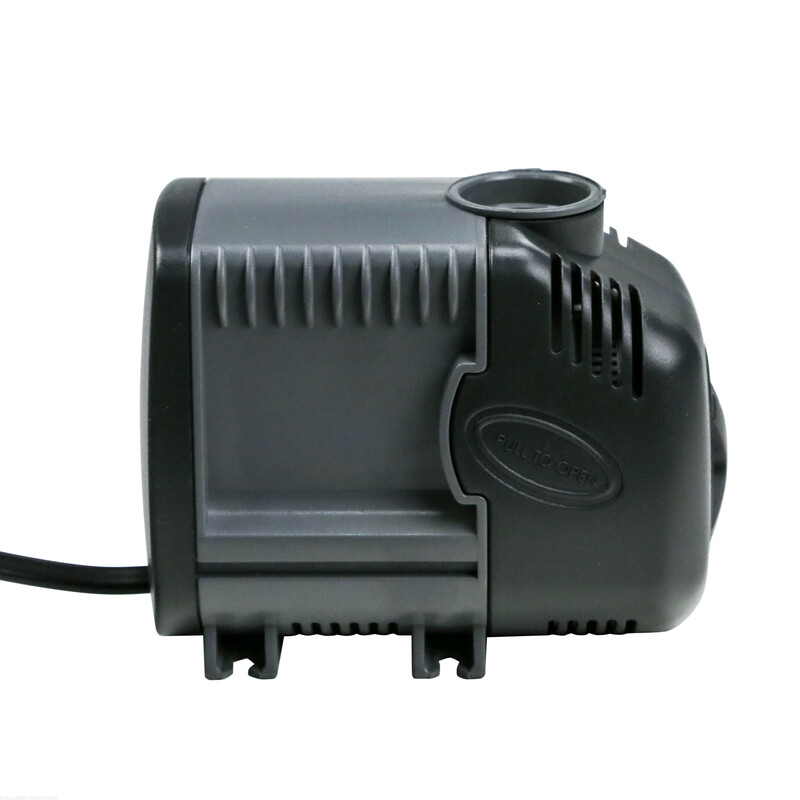 This pump is very silent and provides plenty of flow. I actually had to adjust it down some for my tank. Now I need to purchase a 2.0 for the right side of the tank. Great pump. The suction cup feet don't work that great. They fall off too easy. 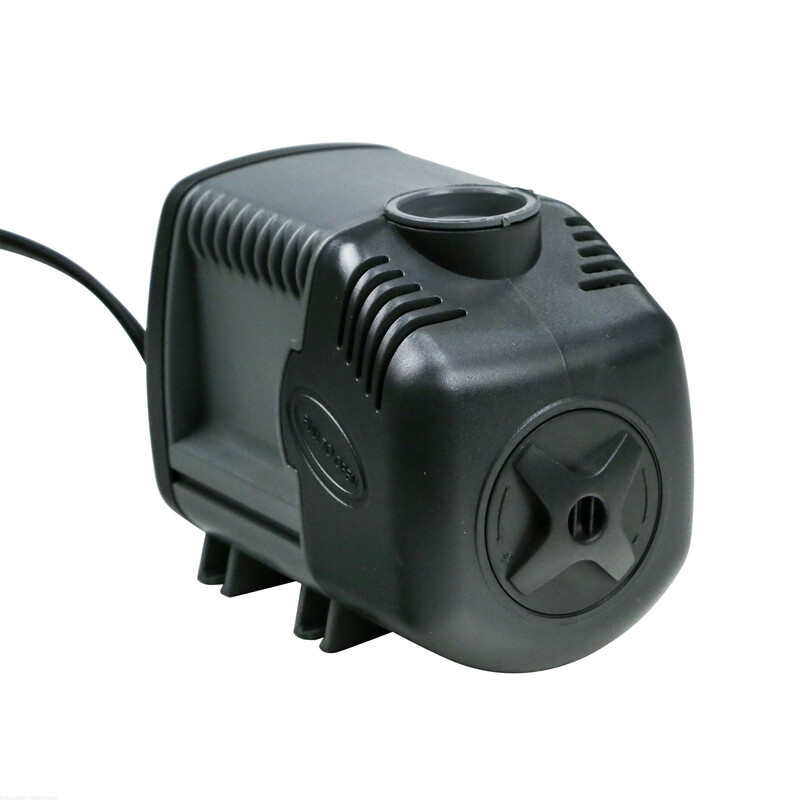 Use the other feet supplied with pump. If you're going to add a check valve use a 1", a 3/4" check will restrict the flow substantially. I have a 1.5 on my bfo reactor and a 3.0 as a return for my sump... Very , very quite I'm not sure how anyone had a bad review on these. Maybe you didn't put it together correctly, which is merely impossible. In an effort to make my tank a little more silent I purchased this. It's the loudest pump I've ever owned. Maybe I got a lemon, but if you are searching for silence, this is not it. I was amazed at how strong this pump is, and how quiet it is at the same time. This is perfect for a return pump. High quality, durable, quiet operation. Pump is loud but moves a lot of water. My 6 year old ~600 GPM Aqueon is nearly as powerful and doesn't make any audible sound when submerged. The SICCE has only been running 24 hrs.. Hoping it gets better once broken in. As always, BRS was great to deal with. Got this pump for my 55 gallon reef. Pump is crazy powerful had to tune it down with a valve. Reliable and quiet. What fitting do I need to connect this pump to 1" PVC pipe. Great question! 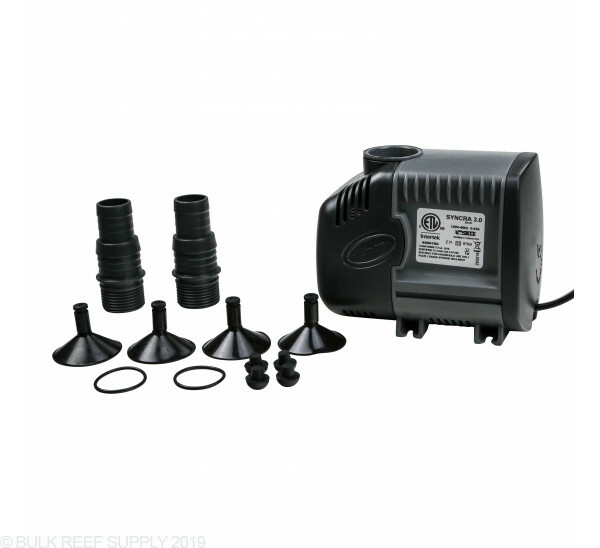 You will need 3 fittings to adapt this to 1"
Can this pump be used inline? Thanks for getting in touch with us in regards to application styles for this pump. 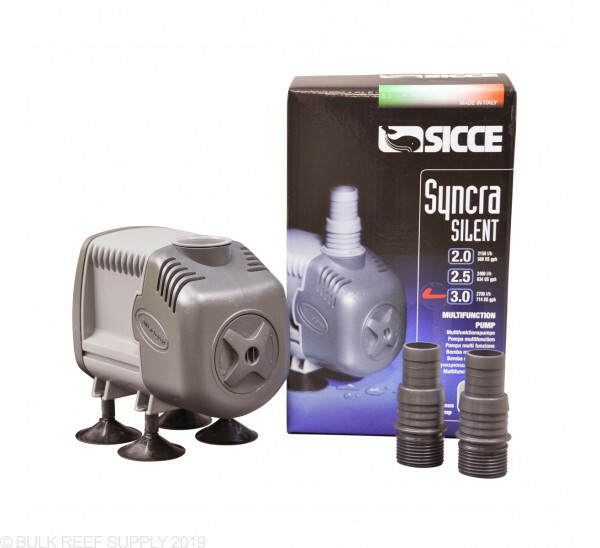 This WOULD be able to be used inline or submersible. Please let me know if there is anything else that we can assist with. Thanks! This pump has an outlet of 1". Have a great day! Is there a way to make this fit a 1/2 dia tube to push water through the clear water scrubber 300? 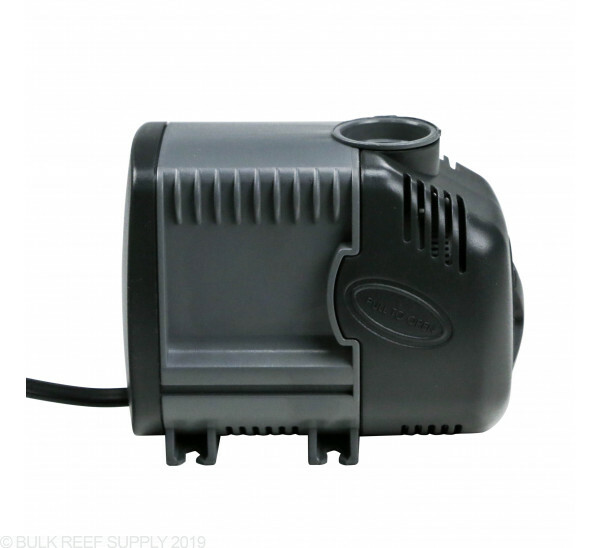 This pump can be converted to fit 1/2" tubing by using a 3/4" to 1/2" reducing bushing in the pump and then a 1/2" threaded barb to connect to the tubing. Have a great day! How tall is this unit when mounted on the rubber feet? It is 4.13 inches wide, right?